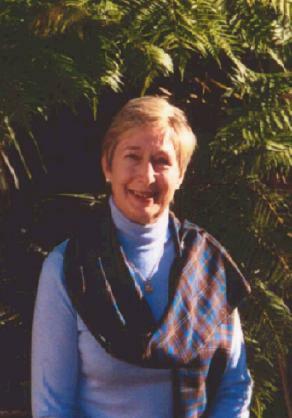 Carolyn Chown grew up in country New South Wales, but has lived in Sydney, NSW for many years, except for short periods overseas with her husband and family. History has always been strong study area, with a particular focus on medieval history. Family history became another focus as family members grew older, papers and photographs appeared from family archives, and many contacts were made around the world connected to both her Chisholm and Cropper ancestry. Family history has become a serious hobby, along with watercolour painting and sketching, and travelling the world. Member of The Clan Chisholm Society since 1982. Chisholm Ancestors: Great grandmother, Edith Kinghorne Chisholm, married John Cropper of Holmby, Lake Bathurst, New South Wales. Edith was elder daughter of William and Jane Chisholm of "Merilla", near Goulburn; granddaughter of James Chisholm, pioneer of "Kippilaw", Goulburn and great granddaughter of the first James Chisholm who arrived in 1790 with the New South Wales Army Corps. on the 3rd Fleet. Editor: "The Clan Chisholm in Australia, 1790-1990". A collection of stories of Chisholm families immigrating to Australia. Publication: "Bushranging on the Highways and Byways of New South Wales", Clan Chisholm Journal 2000.